Tips for keeping a beautiful smile! We also recommend using an electric high-speed toothbrush in conjunction with a waterpik for your daily at-home oral care. And don't forget six-month professional cleanings and checkups. 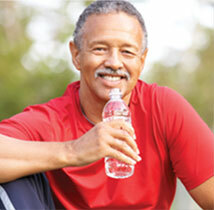 The American Dental Association recommends checkups every six months for those ages four and older. Professional cleanings by qualified hygienists will remove bacteria and plaque, which can cause serious dental problems if not kept in check. If you have not been seen recently call our office for an appointment! To Floss or Not to Floss.. Lately, there has been a lot of talk about flossing and if it is good or not! Kind of reminds me of coffee, some studies say is good for you and others say it isn't. Our dental office believes that flossing is beneficial to a person's general oral health. Our staff is trained to address the issues of proper flossing to our patients on an individual need basis. We promote many different tools used to effectively and safely clean between the teeth. If you are concerned with the recent news reports, please give our office a call to schedule an appointment. We will be happy to review your concerns and make sure you are properly caring for your teeth. 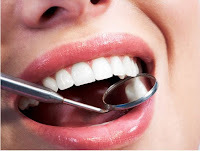 Do White Teeth Mean Healthy Teeth? Learn what the American Dental Association's answer is to the question: "Do White Teeth Mean Healthy Teeth?". Plaque is that soft, sticky stuff that builds up on your teeth over time. It contains legions of bacteria. Left untreated it will eventually lead to gum disease, bad breath and tooth loss. Frequent brushing and flossing are required to keep plaque at bay. But it's virtually impossible to remove all plaque without the skills of your professional dental hygienist. In other words, you're going to need some help. Call our office today to schedule your next routine teeth cleaning to receive help with your plaque removal! Learn what the American Dental Association has to say about sensitive teeth.